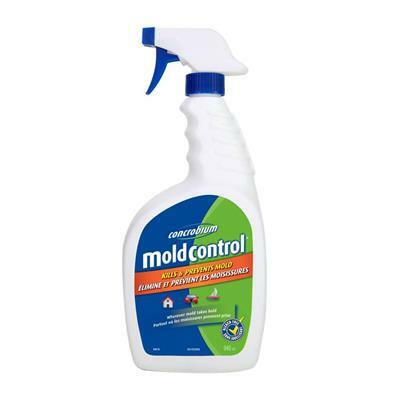 Concrobium 020-946 946mL Mold Control is a proven mold fighting solution that effectively kills and prevents mold. It can also be used to clean up mold and get rid of musty odours with no harmful chemicals. The product works as it dries by crushing mold spores at the roots and leaving behind an invisible antimicrobial shield to prevent future mold growth. Use Concrobium Mold Control for water damage restoration, construction and renovation (pre-treatment of building materials), specialty mold clean-up and prevention and general interior maintenance. This patented formula is used by homeowners and professionals.